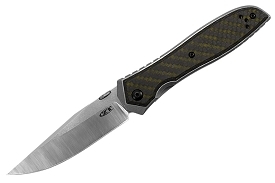 The blade S35VN stainless steel that’s strong, wear resistant, corrosion resistant, and tough. 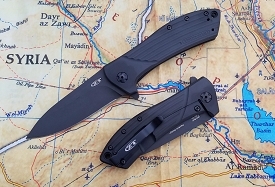 This high-end steel ensures the user of a sharp, reliable edge that will last a long time.For a secure grip, the front scale is textured G-10. The back is all stainless steel with a sturdy frame lock and lockbar stabilizer. The 0566BW opens quickly and easily with our assisted opening system. 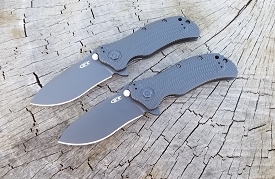 Designed by Rick Hinderer and built tough by Zero Tolerance, the new 0566B is built for pure performance in an EDC-perfect size.